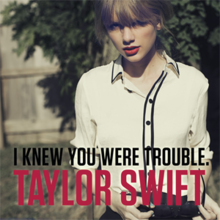 “I Knew You Were Trouble” was composed by Taylor Swift, along with her producers Max Martin and Shellback. It was recorded in 2012 and became massively popular. Typical for Taylor Swift the song is roughly based on a look back at recent personal relationships (real or imagined). This is apparently the kind of stuff her millions of fans really, really want to hear. Through songs inluding this one and others like “Mean” from that period, Swift tried to project a tougher, harder edged image than the sweet little girl thing she started out with. Swift started out as a country singer, but this song demonstrates a move towards a more mainstream sound. 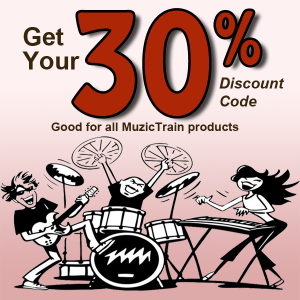 In particular the “dubstep” rhythm and the use of rapid repetition (“found me, e, e”). Both techniques became almost cliches for that period.